Please note that if precautions are not taken and/or if the disease is not diagnosed and treated early, malaria is potentially fatal. KRUGER NATIONAL PARK IS A HIGH RISK MALARIA AREA FROM OCTOBER TO MAY.It is a well-known fact that malaria is one of the most serious and common tropical diseases in the world. However, there is no reason why this disease should deter you from coming to the Kruger National Park if the necessary precautions are taken. The information provided here from the Kruger National Park Malaria Information Centre (South African Parks Board) will make your visit to Kruger National a safe and rewarding one. Remain indoors from dusk to dawn if possible as malaria mosquitoes usually feed in the early evenings and mornings. Spray knock-down insecticide for flying insects inside the bedroom in the early evening with windows/doors closed if there are no window screens. The preventative medication of choice for visitors to the Kruger National Park and surrounding areas is a combination of CHLOROQUIN and PALUDRINE. Chloroquin is taken on a weekly basis and Paludrine daily. The first dose of Chloroquine should be taken a week before entering a malaria area to see if there are no serious side effects. Paludrine can be taken 2 days before entering the malaria area. It is important to continue to take the medication during your stay AND FOR FOUR WEEKS after leaving the malaria area. It is advisable to take the medication at night with food to reduce side effects like nausea. MEFLOQUIN is an alternative to the Chloroquin / Paludrine combination and it is the drug of choice when visiting other areas such as Zimbabwe and Mozambique if there are no contraindications for using Mefloquin. If the Chloroquine/Paludrine combination or Mefloquin cannot be used. DOXYCYCLINE on a once daily basis can be taken after meals as a preventative drug. Please contact your general practitioner or chemist for the correct dosage according to age and weight. Discuss if any of the medications are contraindicated (i.e., in infants, young children, pregnancy, patients with psoriasis, porphyria or epilepsy). Despite the fact that the South African National Department of Health recommends that pregnant women should preferably not visit a malaria area, many pregnant women do visit a malaria area and even live in the Kruger National Park. 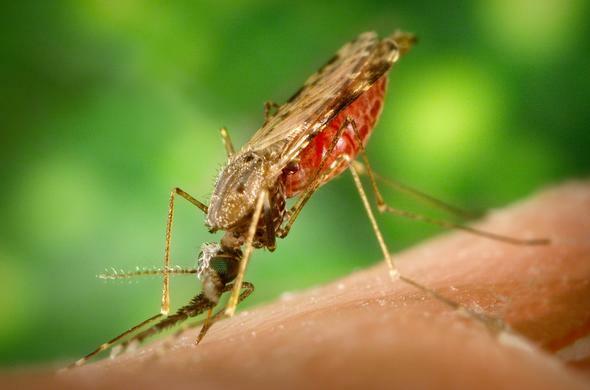 Extra care for preventing mosquito bites should be taken as malaria in pregnancy holds an increase in risk for both mother and child. It is safe to use Chloroquin and Paludrine in pregnancy, even in the first three months of pregnancy. Mefloquin and Doxycycline must not be used in pregnancy. Because malaria has a faster and harsher effect in infants and small children, extra care should be taken to prevent mosquito bites. Take Chloroquin syrup weekly and Paludrine tablets daily in dosages according to age and weight - the appropriate dosage can be obtained from your general practitioner or chemist. Drug transfer in breast milk is insignificant and infants require full preventative medication. It is important to take the medication during and for four weeks after leaving the malaria area. Persons with full blown aids - it is not contraindicated for an HIV positive person to visit a malaria area. People suffering from porphyria must not use Doxycycline. In this case, the combination of Chloroquin and Paludrine is probably safe to use. The safety of Mefloquin in porphyria has not been established. People with epilepsy should take care when using Chloroquin. Mefloquin is contraindicated in epilepsy. If you develop influenza-like symptoms, such as body pains, headache and fever, 7 to 20 days after visiting a malaria area, you must have your doctor test you for malaria immediately. Ensure a safe and care-free stay in the endemic Malaria area.